Because of automatic translation, the expression is sometimes not accurate now. We are trying to correct them. Yamaguchi deputy director and dental hygienist Uchida passed the examination of the Japanese periodontal disease society and qualified as certified physician and certified hygienist. As a result, one specialist and a guidance physician at the Japan Society of Periodontal Diseases, one authorized doctor, and four certified hygienists became. 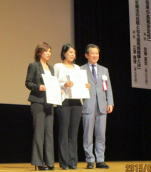 In addition, the director of Ichimaru acquired a certified physician at the Japan Clinical Periodontal Society Society. In our dental clinic, we are studying daily, such as acquiring qualification positively to provide professional and higher level treatment. From June 2017, Tuesday will be closed. However,we will treat you Tuesday of a week with a public holiday. Acquired Certified Hygienist of Japanese Society of Periodontal Diseases. Dental hygienist, Maeyama passed the examination of the Japanese periodontal disease society, and I got a certified hygienist of the Japan Periodontal Society Association. The Ichimaru Dental Clinic will further raise the level so that patients receive a higher level of treatment. The director and deputy director have announced at the American Periodontal Society Society. The director and deputy director made presentations on implants and jawbone necrosis at the 102 th American American American Periodontology Society held in San Diego on September 10 th - 13 th 2016. We took the Academy lecture and reaffirmed that Ichimaru Dental Clinic's treatment is at the international level. From now on we would like to actively participate in the conferences in Japan and abroad, announce it, and offer more advanced treatment to patients. The paper of our dental clinic was published in the journal of Japan Society of Periodontal Disease Vol. 34 No. 1. A paper on oral care cleaning instruction using a comprehensive method after the stepwise method was published in Volume 34, No. 1 of the Journal of the Japanese Society of Clinical Periodontal Diseases. For the development of dental care, we actively participate in academic societies, presentations, presentations of papers. In , more effective periodontal disease treatment is being carried out at our dental office. This time our dental office became a cooperative training facility for dental clinical training at Nagasaki University hospital. Through clinical training at our dental clinic, we will cooperate in fostering young doctors. She won the Excellence Award at the Poster Presentation at the Japan Clinical Periodontal Society Assembly General Dental Hygienist Poster. Takahashi, a dental hygienist, received the Excellence Award at a poster presentation at the 33rd Annual Meeting of the Japanese Society of Periodontology held in Sendai on July 18, 2015. In the academy, "Home care: Overall TBI" invented at our dental office was recognized to be very effective. By receiving a comprehensive TBI, diseases of periodontal disease, caries and implants are reliably improved. Collaborative research with Kyushu University was published in English magazines. Author ： Takeshi Toyoshima, Hedeaki Tanaka, Masanori Sasaki, Eiji Ichimaru, Yasuhi Naito et al. This is a study on the accuracy of Guide Surgery which our dental clinic is conducting. Acquired a specialist in Japan Oral Implant Society. 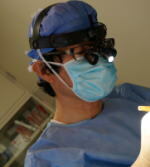 Mr. Ichimaru, the director, got an expert from the Japan Oral Implant Association. Together with the periodontal disease specialist in Japan's periodontal disease society, it became a double title. As a periodontal disease specialist and an implant specialist, we further improve the level of implant treatment that protects and nurtures teeth. A microscope was added at our dental clinic. We introduced a second microscope to our dental office. By using a microscope, you will be able to see things that can not be seen with the naked eye and the magnifying glass surely. More patients can now receive high precision treatment. 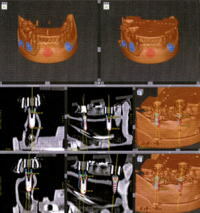 We have started Guided Surgery with straumann® system. which shorten time of the surgery and get it more safety and accurate. On a subscription basis. We take reservations on the phone. “Sterilization, disinfection and Infection control” is perfect in Ichimaru Dental Office KURANOUE. It is very important to find causes of disease and prevent it early. You can get back oral beauty and mastication function by dental implants. Our policy, “eat by your own teeth,” is coming true because we can treat the most of periodontal diseases. Copyright(C) ICHIMARU DENTAL OFFICE　KURANOUE All Rights Reserved.